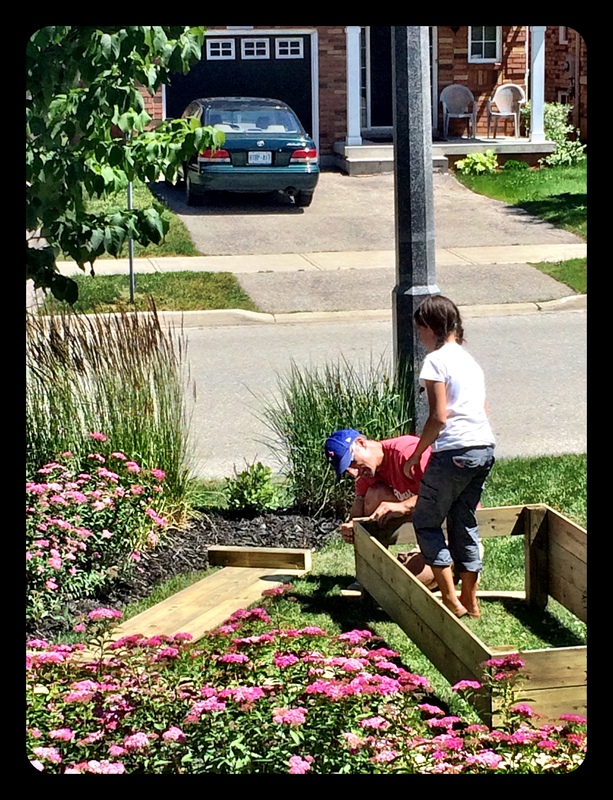 As part of my ‘recapture the youth I think I had’ summer, we decided to build a garden for the kids. Of course the garden is not for the kids exclusively but saying so sounds like such positive parenting. 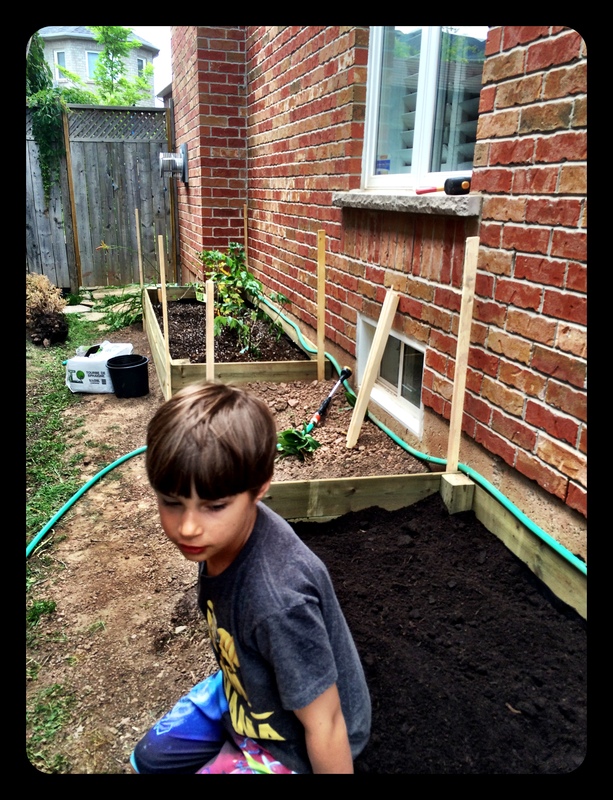 After years of wanting a vegetable & fruit garden and getting away with having planted containers, it was time to make the leap and build a raised garden bed. The final plan was solidified after finding this simple blog post from Hammers and High Heels. 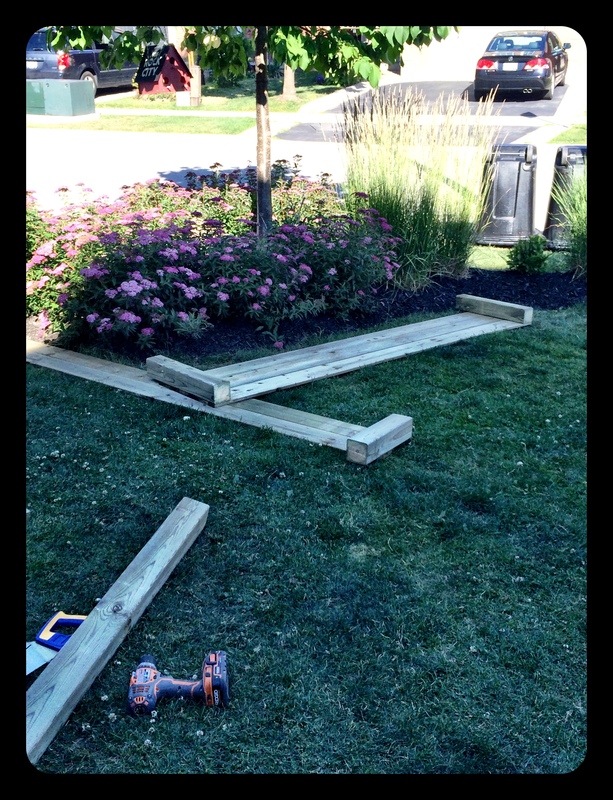 We decided to build two garden beds each measuring 3′ x 10′ and totalling 60 sq. 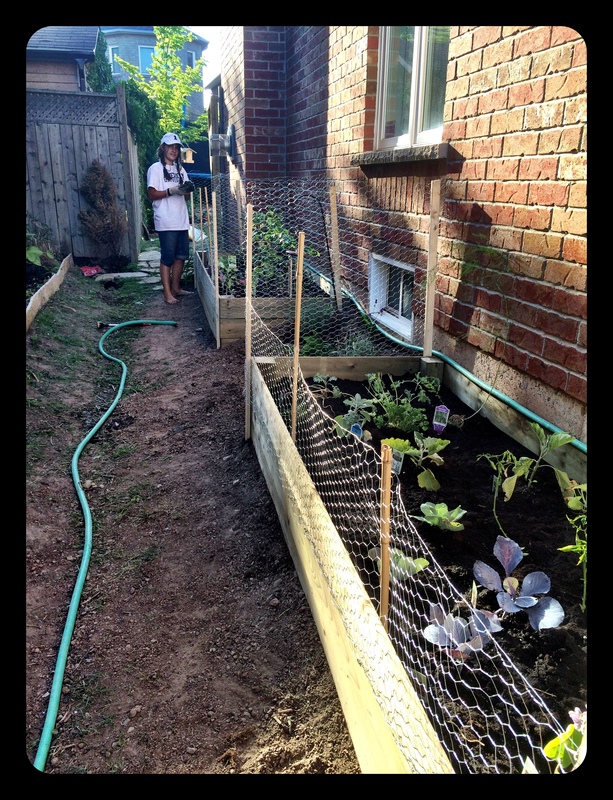 feet of additional garden space. Go big or go home, right? We headed to the local hardware store and to pickup the necessary supplies (wood, nails, and weed stopper fabric) on a fantastically hot Saturday we began to build our little garden of Eden. The kids helped out from the beginning to the end and it was great to see them so involved in such a large project. The bickering was minimal and that made both parents very, very happy. Home Depot and our local grocery store were the sources for the 40 bags of Triple Mix (equal parts topsoil, peat and compost which we use here for our extraordinarily poor soil). 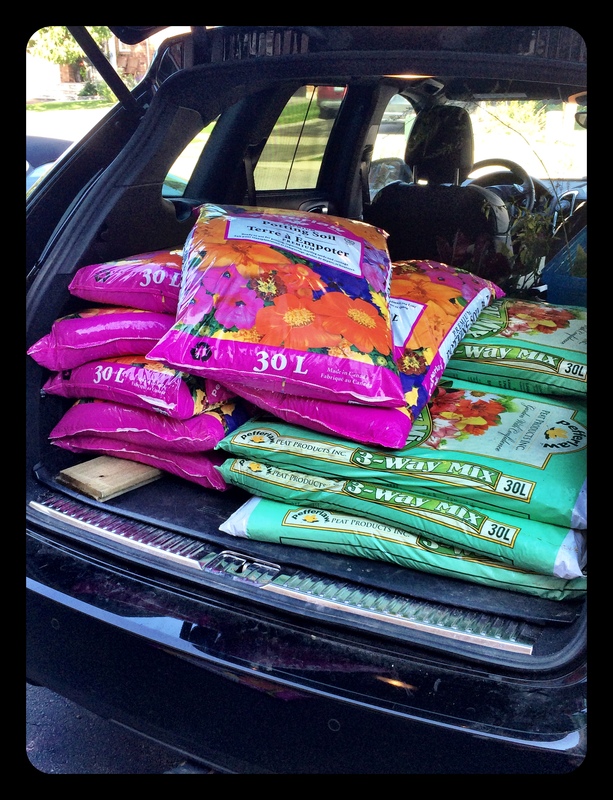 I made two trips filling the trunk of the SUV to get all of the dirt to the house. 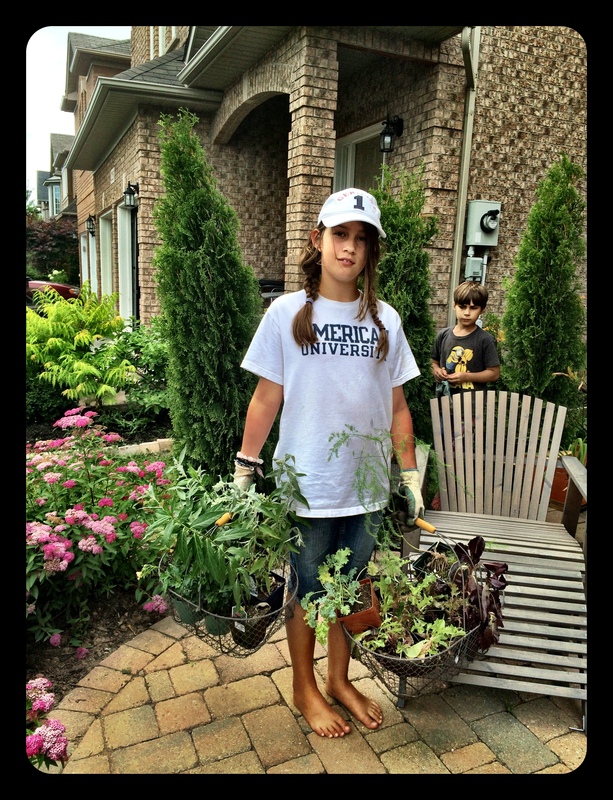 And success was seen in the faces of the kids as the garden was coming together with the little pots of cabbage, kale, garlic, asparagus, lettuce, bush beans were transplanted into their new home. Whether or not we will reap the rewards of the garden this season remains to be seen but what is most important is that we spent time together building something that will bring us joy for some time to come. Previous Post Where are We Going?